GREY GOOSE®, The World’s Best Tasting vodka, announces the launch of an extraordinary new, ultra-premium expression of GREY GOOSE – GREY GOOSE VX. A spirit like no other, the liquid combines GREY GOOSE vodka with precious drops of cognac. François Thibault, the creator of GREY GOOSE whose passion for crafting extraordinary spirits was fostered as a Maître De Chai (cellar master) in the Cognac region, has once again defied convention with the introduction of this spirit that draws on exceptional French craftsmanship and heritage, yet is truly innovative. GREY GOOSE VX, which stands for GREY GOOSE Vodka Exceptionelle, is masterfully created from drops of cognac grapes drawn exclusively from the Grande Champagne cru, regarded by many connoisseurs as the very finest of the six cru within the region. The rich, subtle taste of GREY GOOSE VX conveys a harmonious balance of white fruit blossom, honeysuckle and violet with hints of apricot and a long, lingering finish. The balance is subtle, harmonious and rich, yet delicate with a long, full finish. The recommended serve is on the rocks in a balloon glass. GREY GOOSE VX is presented in an exquisite decanter made from ‘extra flint’ glass, which is known for its exceptional quality. The bottle shape and fine detailing are inspired by historical French decanters, with rounded shoulders and a pronounced heavy-set stopper, while still retaining contemporary design cues from the original GREY GOOSE bottle. 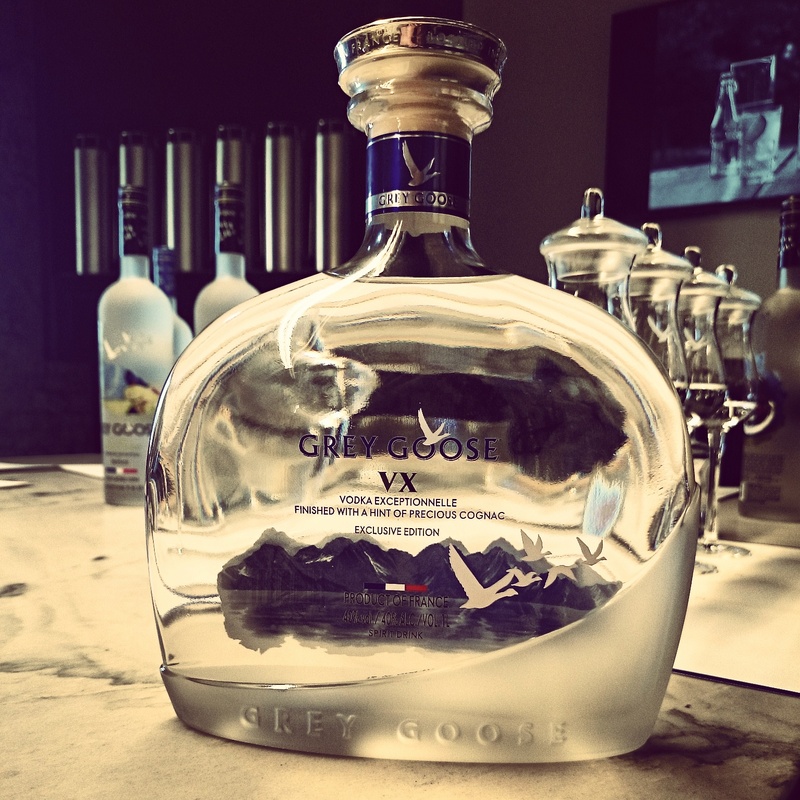 70cl GREY GOOSE VX will be available in leading partner bars in London from Spring 2015 and for purchase in select premium airport locations in London, New York and Paris from September 2014. For tasting notes on the VX as well as the rest of the range, please see my feature on the brand here.